Without a doubt, Yeck truly provides her readers with much more than lessons about Buckingham’s history. She offers them a connection, a bond, with the people who made this community what it is today. . . . While doing research, Yeck had the opportunity to get to know her Virginia cousins. Being only the second person in her family to be born outside Virginia since 1617, returning to the state felt like a homecoming for her. She fell in love with both the county and its residents. Joanne Yeck writes beautifully and is an instinctive storyteller. Ms. Yeck is to be commended on what can only be described as a herculean effort to resurrect lost Jeffersons from the mists of time. As a result, we have not only an understanding of these folks, but also of the southern United States in a far distant and important time in our development as a nation. Well written and comprehensive, it is a must for anyone interested in American history. “Peter Field Jefferson: Dark Prince of Scottsville & Lost Jeffersons” should be on every Virginian’s bookshelf. 13126 W James Anderson, Buckingham, VA ~ Phone (434) 969-2162. Learn more about the descendants of Randolph Jefferson. . . .
Peter Field Jefferson: Dark Prince of Scottsville follows the rise and fall of Randolph Jefferson’s most successful son. Nephew to President Thomas Jefferson, Peter Field proved that at least one member of the family had a head for business. The story of his life parallels that of the changing cultural landscape of the James River’s Horseshoe Bend across seven decades—rising from virtual frontier to the establishment of Scottsville in Albemarle County, through the building of the James River and Kanawha Canal, and culminating in the early months of the Civil War. Jefferson’s success as a self-made man is tainted with great personal loss, making his story a distinctively American tragedy. Lost Jeffersons is a collection of essays which follows descendants of Randolph Jefferson and their kinfolk. Their fates reveal, in part, the genetic decline of one branch of the Jefferson family. A microcosm of Virginia’s gentry, multiple generations of cousin marriage resulted in a concentration of undesirable traits—including alcoholism, idiocy, and insanity—compromising individuals who might otherwise have led productive and useful lives. What to read while you are waiting for the next book from Slate River Press? 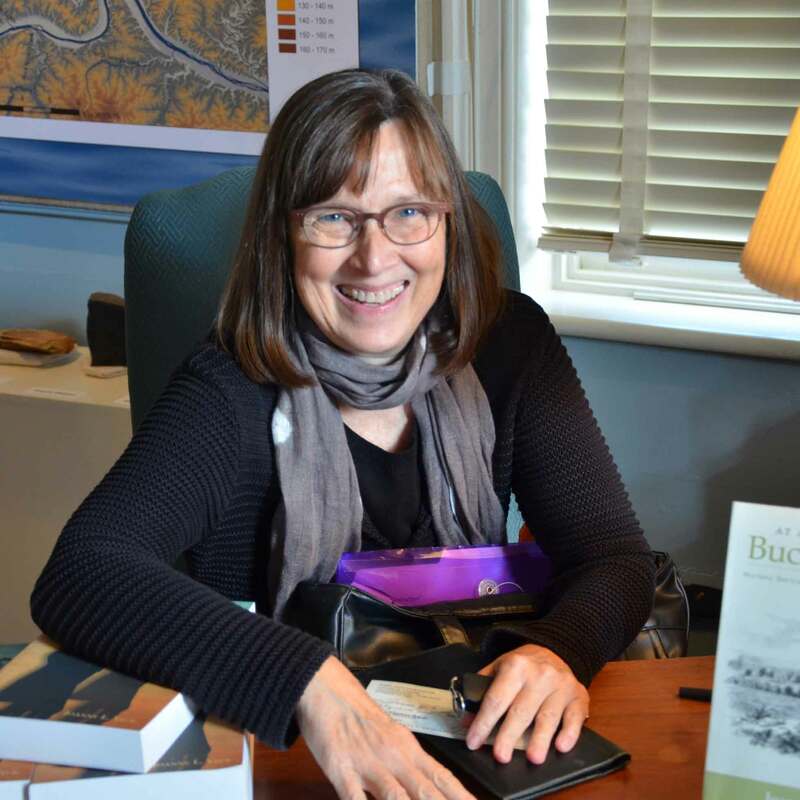 Visit Slate River Ramblings, a blog by Joanne Yeck. 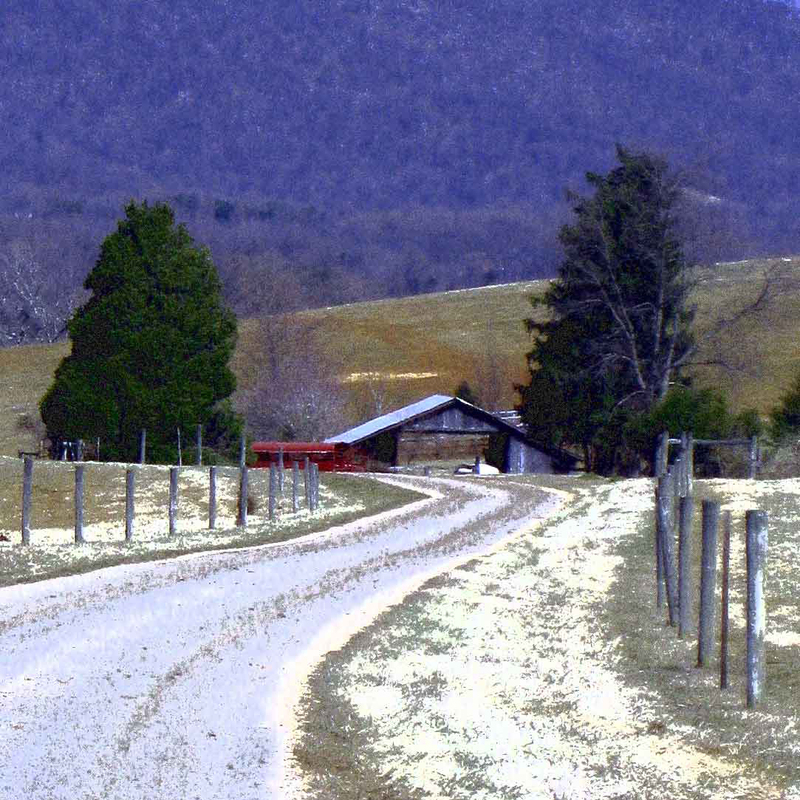 Explore the past in Buckingham County, Virginia and its environs. Now available online at Braughler Books. Visit soon! “At a Place Called Buckingham” — Volume Two once again collects a dozen essays depicting the people and places of Buckingham County, Virginia. Details gleaned from newly discovered county records, contemporary newspaper accounts, and private collections result in a marvelous mosaic of life at the very heart of Virginia. Meet the proprietors of 19th-century hotels and health resorts, ferry operators, educators, stewards of the poor, planters and their slaves, the hard-working men of the Civilian Conservation Corps, and notables whose influence reached far beyond the county. A bonus section, “Maysville Gallery,” features photographs made in 1933 as part of the Carnegie Survey of the Architecture of the South. Purchase online at the Braughler Books Store. Please visit Joanne L. Yeck and discover her writings about Hollywood, Virginia, and beyond! On Saturday, May 18th, Dayton, Ohio’s Metro Library will host local authors, musicians, artists, and filmmakers at the Main Library. The event takes place from 10:00 a.m. – Noon in the auditorium. Slate River Press author, Joanne Yeck, will be there with “AT A PLACE CALLED BUCKINGHAM” and THE JEFFERSON BROTHERS. Come downtown and drop in! Join Joanne Yeck at Wright Memorial Library and discover Thomas Jefferson’s only brother, Randolph Jefferson, a planter in Buckingham County, Virginia. What kind of a big brother was Thomas Jefferson? Come to the library on January 27th and find out! Click on the image to read "Chapter One" of The Jefferson Brothers.